Sow the seed you want to harvest. (JICE), we travelled to Japan to experience and get to know the agricultural sector of Japan. We stayed mostly in Kamogawa City in Chiba prefecture with occasional visits to Tokyo Metropolis. During our 6th day of stay in the area, we went to the nearest terraced paddy field in the area, the Oyama-Senmaida terraced paddy field. Oyama-Senmaida is located in middle of the Boso Peninusla. Among all the terraced paddy fields in Japan (Note: Japan has many terraced paddy fields since the country is mountainous) , Oyama-Senmaida is considered as one of the 100 most beautiful rice paddy fields in the country. 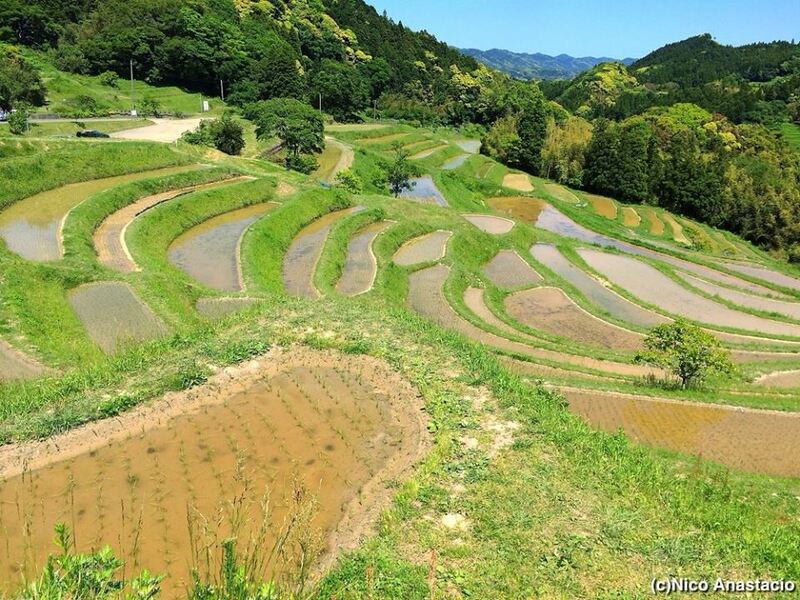 Also, Oyama-senmaida is irrigated through rainfed, which is very uncommon for a modern country. Another interesting fact about the management of this terraced paddy field is the fact that the main purpose of this paddy field is not to gain high yield but for the city dwellers to experience rice farming through the rice paddy owner system. We roamed around the area and had small lectures on the management of the paddy field. Then we went to the other side of the area where we had our lunch. We cooked miso soup and we made “onigiri” (Japanese rice ball). It was something new to me since it was something that we don’t do in the Philippines (although we have many sweet rice delicacies), especially the fact that we also grilled it. The scenery provided me with tranquillity. It was good to know that such great place existed so near in the metro where city dwellers could go anytime they want to relax and escape from the stress in the city, especially for nature lovers such as myself. Since we had a lot of activities during that day, we had to leave as soon as we rested after our lunch.